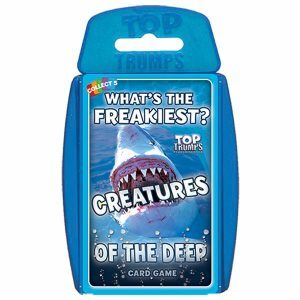 Play along with the world’s no. 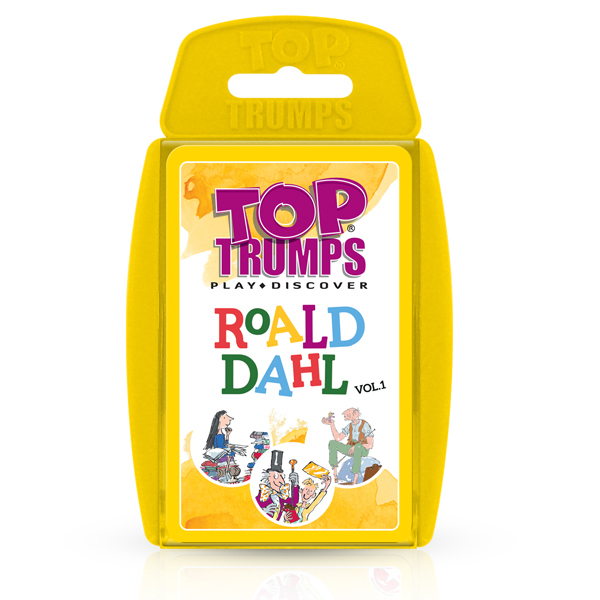 1 storyteller in Roald Dahl Vol. 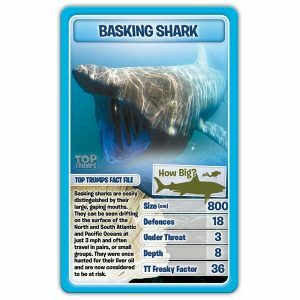 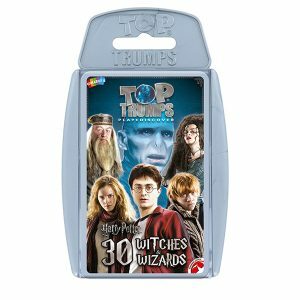 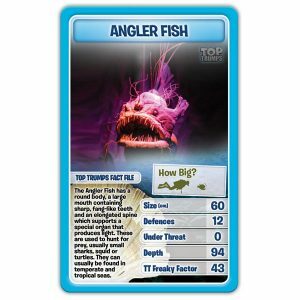 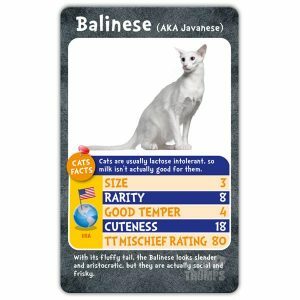 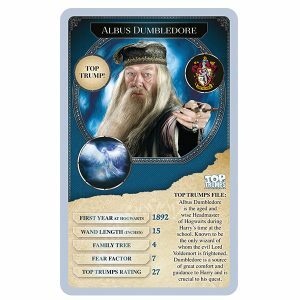 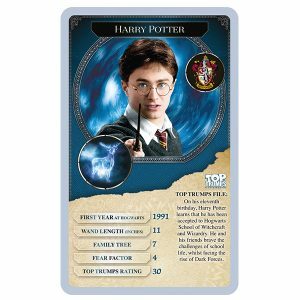 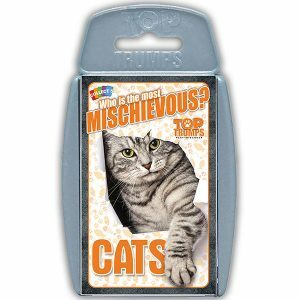 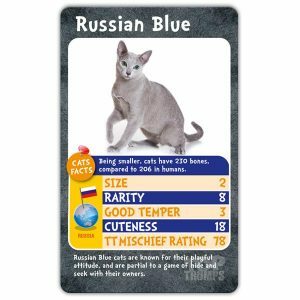 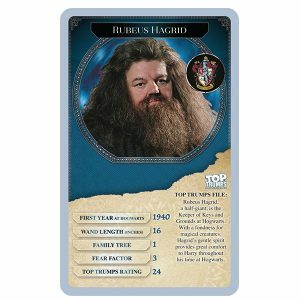 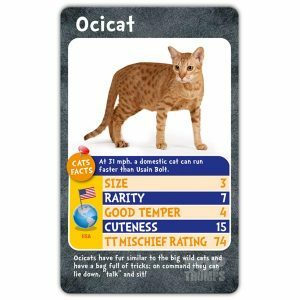 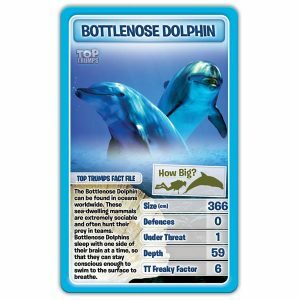 1 Top Trumps! 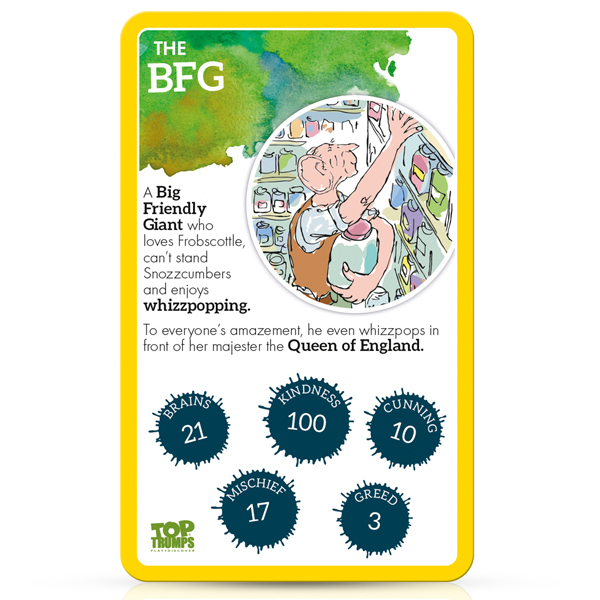 Featuring characters from The BFG, Matilda and Charlie and the Chocolate Factory, play along and see who is the greediest and brainiest, the mischievous and the most cunning! 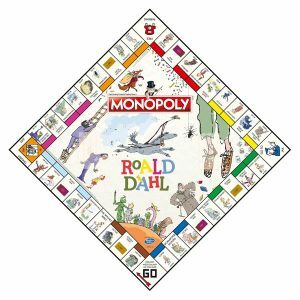 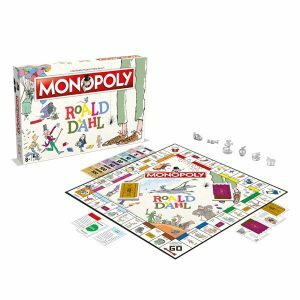 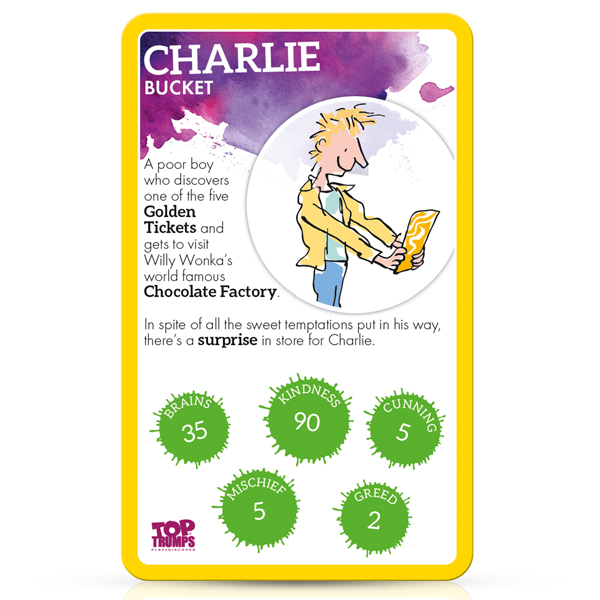 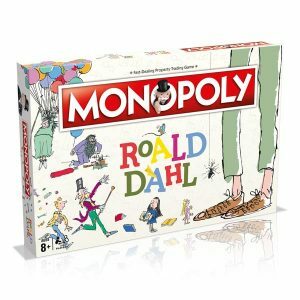 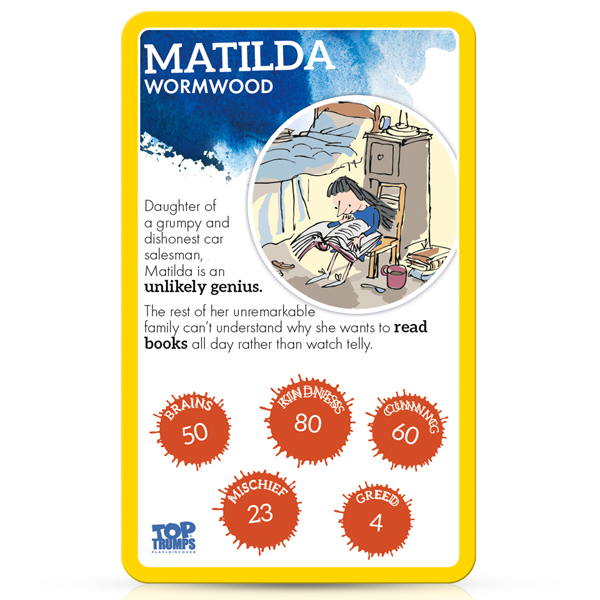 A great way to introduce children to the exciting world of Roald Dahl characters, and the perfect portable game to take on day trips and holidays.